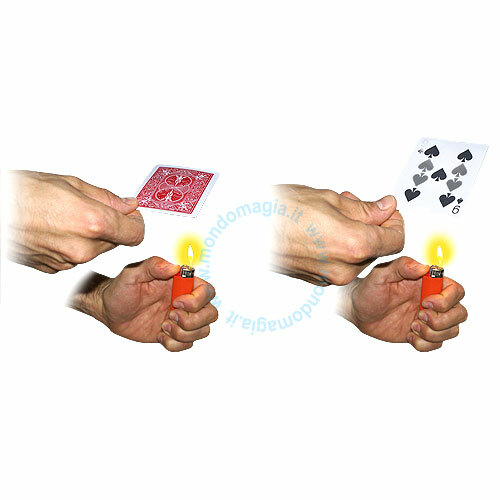 A card visually transforms into the spectator’s chosen card by heating it with a normal lighter! • Instructions with two amazing routines included. • The trick can be infinitely repeated . • Supplied with a wallet and two different cards (one black and one red). Αυτό το προϊόν προστέθηκε στον κατάλογό μας την Saturday 14 March, 2015.